London is an easy city to get around. At DriveNow we want to provide a sustainable and environmentally friendly mobility option. This means working alongside other forms of transport such as the tube, train, buses, cycling and walking. The public transport system is operated by Transport for London and includes the well known tube and iconic red buses. It's really easy to pay for your trip; purchase an oyster card or paper ticket or use your contactless card for pay as you go. The London Underground transport network covers the majority of the city and is divided into 9 zones, with central London covered in Zone 1. There are 11 tube lines, identified by different colours and connected at various stations. Tube services usually run from 5am until midnight, with Night Tube services on Friday and Saturday nights on some lines. Fares depends on how far you travel, the time of day and how you pay. To orientate yourself at an underground station, look for the map of the street above for you to determine which exit to take. The London Overground forms an outer London orbital network, travelling through most London boroughs. It's identified with the colour orange for the entire line, and works similarly to the underground. The driverless Docklands Light Railway (DLR) serves the redeveloped Docklands area of East London. 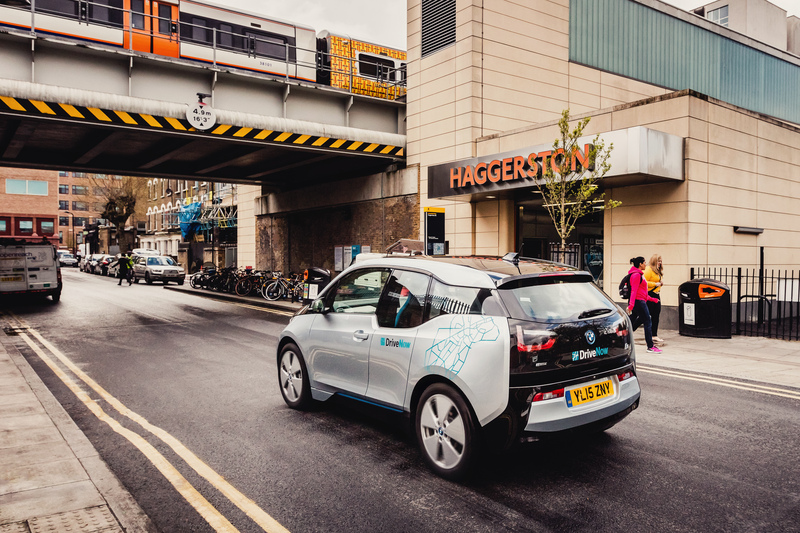 If there isn't a DriveNow car available at London City Airport, you can take the DLR into the city or for your journey home. Well connected and easy to use, buses enable you to see the sights of London. You will need an oyster card or contactless payment card to use a bus in London, and can't use cash when getting on. At each bus stop, the signs will say which buses stop there and their route. Each bus is identified with a number which is displayed on the front, side and back of the bus. Get those legs moving! London has plenty of bike sharing services available, including flexible dockless options, where you pick up the bike and leave it elsewhere at the end of your trip. And while London may seem huge, sometimes your destination may be closer than you think - it pays to check if you can walk to where you need to be. We offer a fleet of over 300 BMW and MINI cars to get around London and further afield. You can easily use our flexible car sharing service for one-way trips because you can take a car from any public parking bay in the DriveNow Zone and don't have to return it to the original bay. 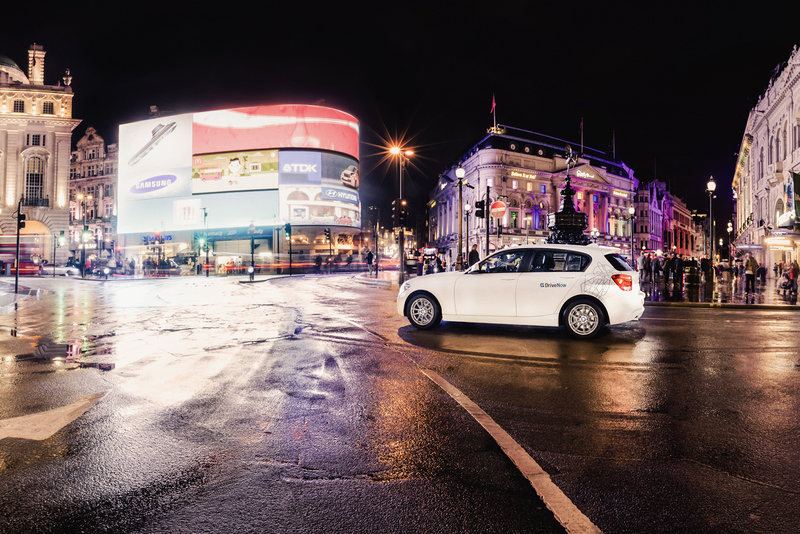 Use DriveNow to get around the city comfortably and at your own pace or combine with public transport services in London; drive to dinner with friends and take the night tube home, or bus to work in the morning and then take a DriveNow to your meeting in the afternoon. Parking, fuel and insurance is included in the cost, and you can choose to drive by the minute, hour or day. 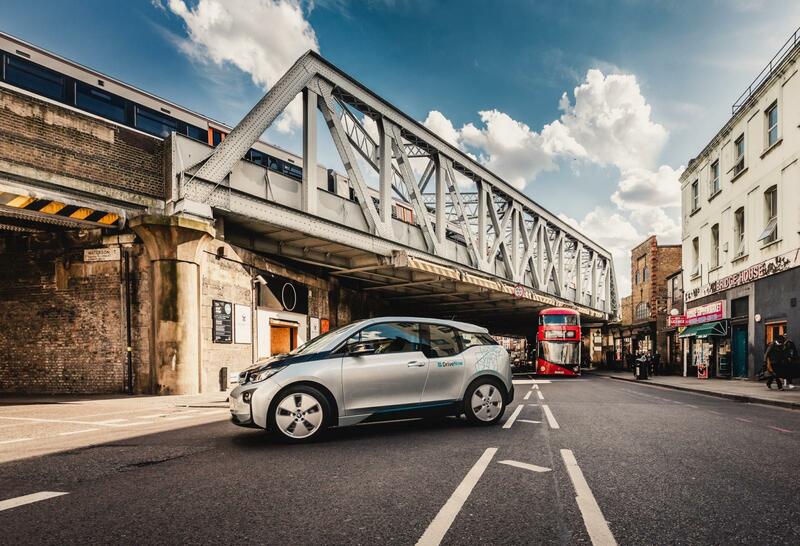 The DriveNow Zone covers the North East London boroughs of Islington, Hackney, Haringey and Waltham Forest. You'll need to start and end your rental in this area. In addition, there are also DriveNow parking bays at London City Airport and Stratford International Car Park where you can pick up and drop off our cars. In the DriveNow Zone, park the car in any residents' or pay and display bay and parking is free. When outside the Zone, you'll need to follow any guidelines on the parking sign including paying for a parking ticket. If you need to park the car temporarily and will return to the car, just select 'Park & Keep' in the app to lock the car.